Ladies and gents, pardon the hiatus. After a crazy getaway in Philippines, and sorting stuff out with work when I got back, I can finally start posting again. First off, we are considering moving the Lab to downtown Toronto. Currently evaluating the cost vs benefits of such endeavor. I know that if we do move downtown, the lab will need to find a place with enough room for a 12 seat dining space. Monthly tastings anyone? Featured chefs? The chance for chefs to do dinners while outside their restaurants and use the Toronto Food Lab equipment? I hope this plan pulls through. Second, currently in the works is a mushroom and bone marrow gel. 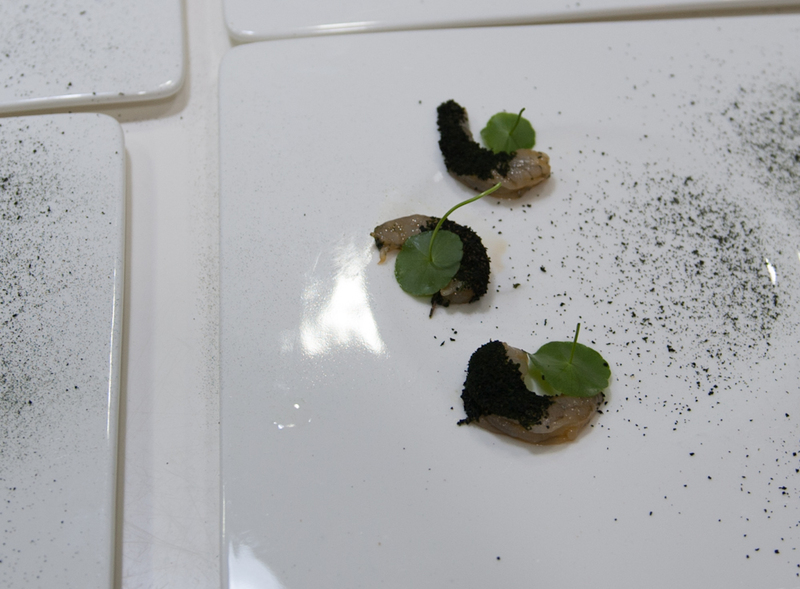 Thankfully mushroom puree and bone marrow are not difficult to emulsify on their own. I do however, want to turn it into a really soft hot gel that has a similar texture to warm bone marrow. Also, I don’t want to use methocel for this one. Third, some photos of dinner that was prepared in Philippines. This time, better prepared (or at least better understanding of the challenges of cooking in the Philippines). The dinner, in general, took a step back in the number of components per dish, and instead focused on well established flavour pairings. Again, I cooked with some of the local uni. When it’s priced at $10.00 per pound, it’s too tempting not to play around with it. 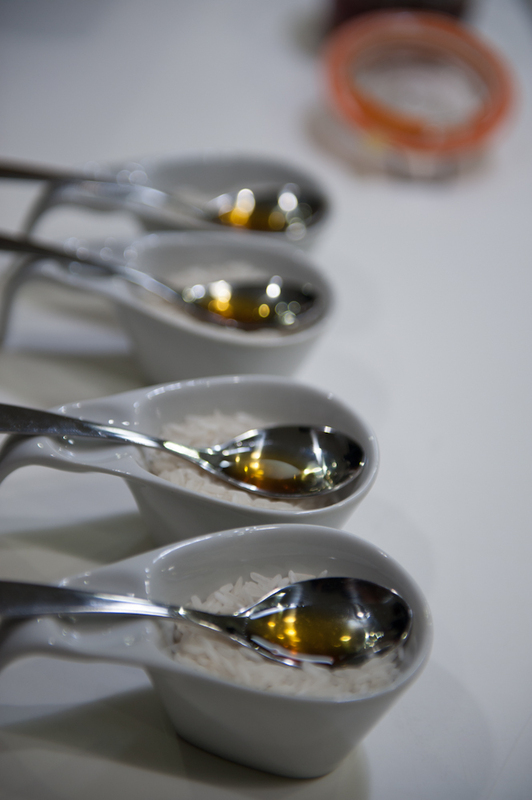 First off is crispy chicken floss – sesame seeds and toasted sesame oil, honey, salt. Inspired from the greasy lemon chicken you order at Taste of China at 3am except of course, without the lemon. Sous vide at 60C for 4 hours, pulled to threads, deep fried. lightly marinated raw shrimp (sweet soy, mirin), cold smoked, and wakame powder and nasturtium from my parents back yard. As a side note, people there say that eating 5 nasturtium leaves a day helps lower blood pressure. Any one know more about this? And this was supposed to be the edible perfume. Unfortunately the spray bottles did not arrive on time before I left Toronto. So this had to do. Diners were instructed NOT to swallow the liquid, but rather to place on the tongue, swirl the liquid around and exhale. After the burning/cooling sensation of evaporating alcohol, you are bombarded with intense flavours of the infusions. In this case, clove, vanilla, cinnamon. That is it for now. One thing for sure, I’m glad to be back at work.